Independent analyst firm Frost & Sullivan has recognized ClearOne for capturing a 55.8 percent share of 2015 global installed audio conferencing endpoints revenue, up from 51.5 percent the previous year. ClearOne has solidified its position as a conferencing and collaboration services provider and as a leader in the installed audio conferencing market. It continues in the forefront of the installed audio conferencing endpoints market as a result of its end-to-end product portfolio, product quality, longstanding commitment to industry innovation, and strong partner ecosystem, according to Frost & Sullivan's latest analysis “Growing Collaborative Business Culture Drives Demand for Audio Conferencing Endpoints," released in December 2016 for baseline year 2015. Frost & Sullivan digital transformation principal analyst Alan Saayed commented: “Business users continuously demand higher quality innovative products, yet at affordable values. 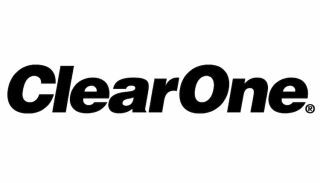 ClearOne continues to strike a balance between competitive pricing and top-notch technologies, which sets it apart from competitors." “On the audio side,” Saayed noted, “ClearOne introduced their new CONVERGE Pro 2 audio platform and Beamforming Microphone Array 2, competitively priced and highly scalable products that address the demand of each type of meeting space, from emerging huddle rooms to large conference rooms." “Analysis of the Global Audio Conferencing Endpoints Market” is part of the Conferencing & Collaboration Growth Partnership Service program. Frost & Sullivan’s related studies include: “North American Conferencing Services Markets,” “Global Video Conferencing Endpoints and Infrastructure Markets,” and “Global Web Conferencing Markets.” All studies included in subscriptions provide detailed market opportunities and industry trends, which were evaluated following extensive interviews with market participants.